Perhaps some good folk here can shed some light on The Milkweeds. They are the host plant for the monarch, and getting lots of well deserved attention now. In looking up seeds getting a quick study. The swamp milkweeds looks to be one people are growing for the butterflies, perhaps as it is a bit smaller than regular milkweed? I have butterfly weed, and some starts of it. The leaves are small, so may not be the best host plant, though bees/butterflies love the blooms. It is also a host to some strange orangy aphids that don't seem to bother it. It is a year out to bloom, and I presume the others may also be. This is a bit late to start from seed this season, but I am looking to start after the spring rush, let the plants winter in pots, and have for next season. People tend to get them mixed up. 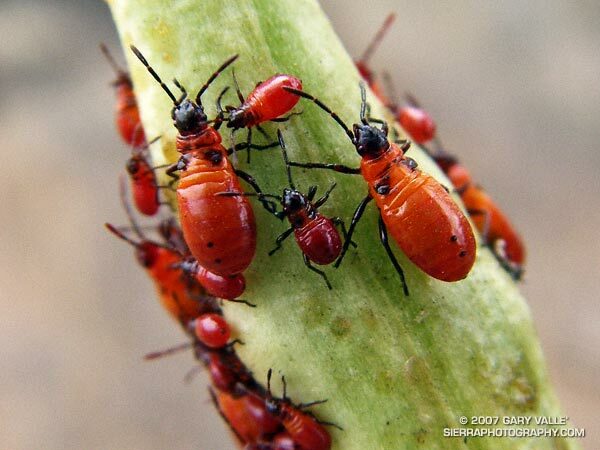 As I understand it, the milkweed beetle will chew the leaves. 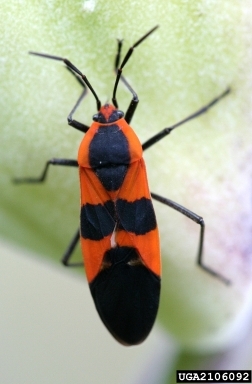 The milkweed bug eats only the seeds out of the seed pods. Either way the milkweed can withstand a whole infestation of them. And they are very specific and don't bother anything else in your garden. Last edited by rainbowgardener on Mon Apr 14, 2014 5:43 pm, edited 1 time in total. The crown flower is the preferred host for the monarch butterfies around here. They can chew up a 15 foot tree in no time, but the crown flower does come back. The butterfly weed is another great host for all kinds of butterflies. It usually has a lot of butterflies fluttering around it and I can find larvae in season, but it usually does not look as chewed up as the crown flower. I have all three plus three more species in my garden (whorled, purple, and Blue Vine -- sorry not looking up Latin names right now ) and Monarchs will use all, though in my garden they prefer the common milkweed which will more often than not try for 6 ft height. They have their own pest aphids -- yellow with black legs. Red and black ones are likely larval form of those other insects as rainbowgardener described. 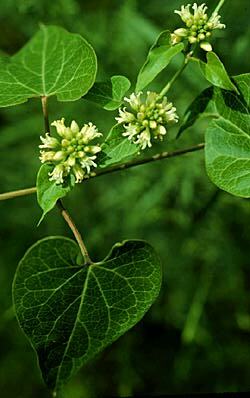 Common milkweed spreads aggressively via rhizomes, but provides a huge amount of food, and it's also the wild foraged species by humans for the spring shoots, flower buds, and young seed pods, and finally the semi-mature silks (milkweed cheese). The size of the seed pods make them the better source for the mature silks to use for crafts and stuffing as well. Swamp milkweed does best in wet boggy areas as the name suggests, but is narrower, smaller leaved, shorter plants and are well behaved. Tolerates (prefers?) semi-shade. Common milkweed likes occasional flooding but can withstand drought because of the crazy rhizomes that stretch over 15-20 feet. And butterfly weed is the shortest clump that prefers sunny, dry/well drained area. Very drought tolerant. My impression is that the leaves are correspondingly tougher and there are less caterpillars on them. But they will pump out blooms repeatedly if you keep them deadheaded. I've also tried growing the southern/Mexican silky milkweed and the white swan/oscar milkweed (different African/Australian species) from seeds. They were fun to grow and the Monarchs flocked to the silky milkweed perhaps with relieved recognition of a familiar host plant among the multitude of alien species, but the plants are not winter hardy here and they didn't re-seed either.... And overwintering them in the house was only semi-successful due to outbreak of the yellow milkweed aphids. So I don't think I'll try to grow them every year unless I have room in the seed starting operation. I've had the aphids on my butterfly weed before. They are a bright yellow orange color that I've never seen on any other plant. They almost completely cover the top of the plant sometimes. Thanks for comments, and yes those are the orange aphids! I think I'll try to start both the swamp and regular milkweed. The monarchs hang around my Mexican sage in September when it is in bloom, and they are fluttering south. Perhaps with milkweed could attract some summer visitors. Update on my milkweed quest....or what was I thinking?! I am focusing on both the common and swamp milkweeds. I have butterfly weed in various stages, and it takes forever and then some to do much. Today ordered seeds for the common and swamp, and plan to play with germinating. I certainly won't get blooms this season, but just looking at sprouting, getting them going. If that process reasonable, will do more next winter, to be plantable by mid -late April (we're mid April frost). Then went out to grocery and stopped at the garden center too conveniently close to it, and checked inventory, chatted with one of the staff. She showed me their milkweeds! They have more butterfly weeds than previous years. They had 3 pots of milkweeds a variety a tad tropical for us, but pretty blooms. Then one swamp milkweed that saundered over to my car via the check-out register. It looks good, nice sized, and better do something for $9.00!! I'm looking for it to bloom this season, and we'll go from there. Susan - I have a FEW Mexican Milkweed seeds left - gave most of them away. If you want some PM you mailing information and I will send them to you. Yes they get aphids but just ignore them. Keeps the critters off of the rest of your plants. I love the entire process. I search the underside of the leaves for eggs then wait for the caterpillars to hatch and devour the leaves. They move off to make their chrysalis and the plant recovers putting out new leaves. Milkweed is usually perennial for me coming back from the root and self seeding like crazy. After this past winter I did not have a single plant come back and no volunteers. Wish I had harvested more seed. I'm trying to stay with native to this area. I did get more milkweed seeds from Live Monarch based out of FL. For just $1 and SESE sent a nice packet of seeds. I put some in starter pellets today and we'll see what happens. My newish neighbor still has a place in Southern IL. They were back there last weekend and she checked on the milkweeds in the field. Either weather, rhizomes so deep, or chiggers didn't bring back any. She will be checking for seed pods as the seasons progress. The regular common milkweed is not an easy plant for many limited space urban backyards. I did talk further one a woman who manages one of the community gardens kinda near me. We think they may fit along a side or back fence, leaving the raised beds for the veggie growers. She does have a mess of zinnias and other flowers to attract pollinators. She did get a variety of starts from me last Saturday, can't remember just what, but got a sweet deal! I have butterfly weed (asclepias tuberosa). It is a little different from the common milkweed (asclepias syriaca) and doesn't get as big. But for some reason in my conditions, it keeps hanging in there, but really doesn't spread or reproduce itself. So last year I planted whorled milkweed (aslcepias verticillata). It struggled a bit at the beginning, but this year has spread itself very nicely. The butterfly weed has buds about to open, but the whorled milkweed hasn't shown any sign of flowering yet. If I remember correctly, my Whorled milkweed didn't bloom for the first couple of years. But now, it's the first milkweed out of 6 different species to bloom. Butterfly weed ( A tuberosa) is pretty, and slow to get established. It has a long taproot, doesn't transplant or divide as some other plants. Starting from seed at least a year out to bloom. It doesn't need blooms to attract the orange aphids. Last year noticed the starts on the deck got a few of the aphids, and the main blooming plant some distance from them. My main one has started to bloom. I keep telling myself to get it staked before it is on the ground. That may get done today in a drier moment between heavy rains. FYI : Found the thread on Blue Vine Milkweed. This is a quote of a post from that thread. applestar wrote: OK, what I have so far is that it's the purple flowered Cynanchum louiseae Kartesz & Gandhi formerly Cynanchum nigrum (Black Swallow-wort) that is toxic to Monarch larvae.